Sharp, edgy (also multifunctional and convertible) modern furniture are easy finds in any furniture shop. What's difficult to find is good vintage furniture that won't cost you a bomb and gives your space a standout look. Barretts is one store where you can find these rare things. Store manager Mr Gordon Halfhide couldn't confirm the exact year that this boutique was established, but confidently asserted that it's more than 70 years old. 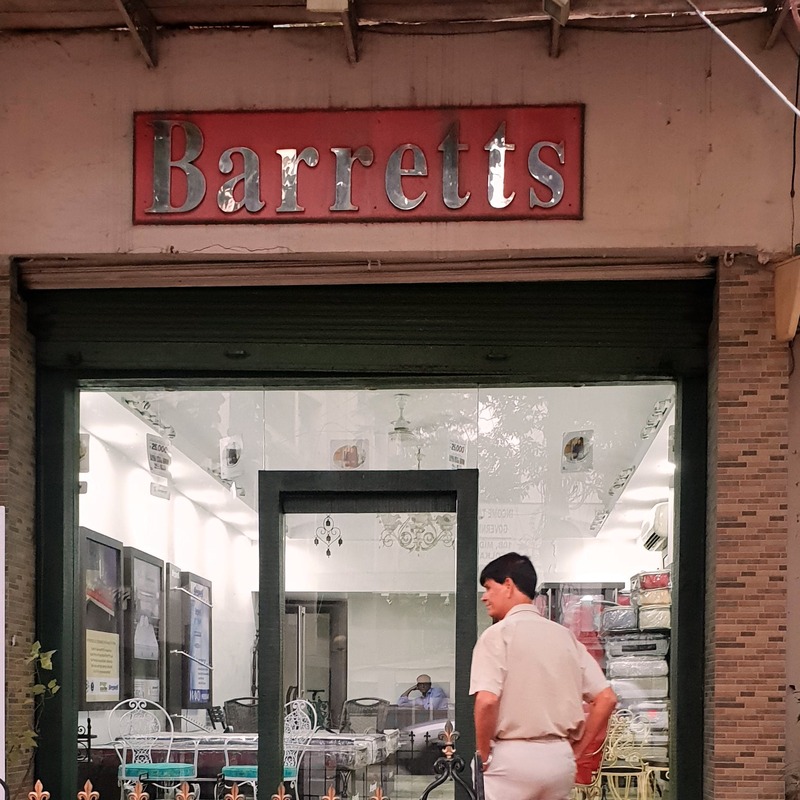 One of Park Street's gems, this pre-independence store was started back in the '40s by one Mrs Barretts, a European lady . Makers of wrought iron furniture, Barretts is known for their Victorian designs and patterns. Latticed swirls to intricate monograms, their furniture is far from the geometric jumble that most wrought iron products are known to sport. You'll find elegant and beautiful beds, dining sets, tea trolleys, chair sets, book shelves, rocking chairs and a whole lot more here. The wrought iron chandelier is one of the beauties that caught our eye. As did the green-coloured garden chairs that come with removable cushions. Most of their furniture are painted in antique cream and white colours, but they can also customise it. Best of all, everything in the store is incredibly affordable and has a standout singular look. They manufacture their own products, so you won't find copies of them elsewhere. Chairs start at INR 1,000 and dining sets of four chairs and a table at INR 20,000. The magazine racks are priced at INR 800 and the rocking chairs start at INR 5,000. You don't have to trudge to a different store to pick a mattress for the bed you picked from Barretts. They stock those as well.